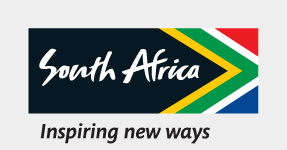 This report details tourist arrivals to South Africa. It excludes transit and covers sea, air and land arrivals to South Africa, for the January 2019 period. This report details tourist arrivals to South Africa. It excludes transit and covers sea, air and land arrivals to South Africa, for the December 2018 period. This report details tourist arrivals to South Africa. It excludes transit and covers sea, air and land arrivals to South Africa, for the October 2018 period. This report details tourist arrivals to South Africa. It excludes transit and covers sea, air and land arrivals to South Africa, for the September 2018 period. This report details tourist arrivals to South Africa. It excludes transit and covers sea, air and land arrivals to South Africa, for the August 2018 period. This report details tourist arrivals to South Africa. It excludes transit and covers sea, air and land arrivals to South Africa, for the July 2018 period. This report details tourist arrivals to South Africa. It excludes transit and covers sea, air and land arrivals to South Africa, for the June 2018 period. A series of quarterly reports, providing a summary of the travel patterns of foreign tourists and domestic trips in South Africa. Period: April - June 2018.